Our guide to Madison will help you find the best green spots in Madison Wisconsin. Madison's picturesque setting is beyond enviable, nestled as the city is amid four glacier-created lakes. Even better, the downtown district claims the isthmus between Lakes Monona and Mendota, ensuring that both water and views are never too far distant. Presiding over everything is the State Capitol, an impressive domed edifice whose silhouette commands the scenic skyline. The lovely city is a far cry from the tiny settlement that existed early on, when the site of the capital was chosen by virtue of location alone. For an initial overview of the city, make sure to wander through the Capitol and check out events held on its lawn, explore the Frank Lloyd Wright-designed Monona Terrace, and browse the shops and restaurants along State Street. These, along with Madison's parks and museums, define the city, illustrating the compatibility between what nature has provided and what humanity has wrought in the city among the lakes. There are tons of great green spots in the city of Madison, our city guide will help you find the best green spots. You may have a hard time deciding what to do in Madison, but we make your decision easy. 5533 University Ave, (608) 233-2777 - Brennan's Country Farm Market & Liquor Store is a green food / grocery store located in Madison WI. 714 S Whitney Way, (608) 442-5929 - Artamos Specialty Meats and Deli is a green food / grocery store located in Madison WI. 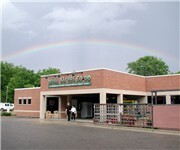 726 N Midvale Blvd, (608) 238-7612 - Metcalfe's Market is a green food / grocery store located in Madison WI. 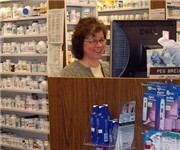 Milwaukee St, (608) 274-8944 - Woodman's Food Market is a green food / grocery store located in Madison WI. 1 John Nolen Dr, (608) 261-4000 - Dane County Winter Market is a green farmers market located in Madison WI. 1602 S Park St, (608) 455-1999 - South Madison Farmers Market is a green farmers market located in Madison WI. 201 S Ingersoll St, (608) 251-6776 - Madison's Tuesday Eastside Farmers Market is a green farmers market located in Madison WI. N Segoe Rd & Sheboygan Ave, (608) 826-0500 - Madison's Westside Communit Market is a green farmers market located in Madison WI. Northport Dr & N Sherman Ave, (608) 655-1596 - Northside Farmers Market is a green farmers market located in Madison WI. 25 N Pinckney St, (608) 251-0500 - L'Etoile is a green restaurant located in Madison WI. 4628 E Washington Ave, (608) 242-7334 - Chipotle Mexican Grill is a green restaurant located in Madison WI. 658 State St, (608) 250-4613 - Chipotle Mexican Grill is a green restaurant located in Madison WI. 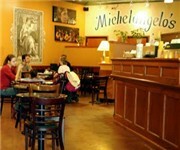 114 State St, (608) 251-5299 - Michelangelo's Coffee House is a green coffeeshop / cafe located in Madison WI. 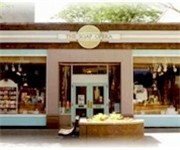 4121 Monona Dr, (608) 224-1150 - Crema Cafe is a green coffeeshop / cafe located in Madison WI. 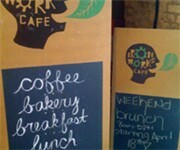 546 W Washington Ave, (608) 255-2310 - Electric Earth Cafe is a green coffeeshop / cafe located in Madison WI. There are plenty more green spots in Madison. See all green spots in Madison Wisconsin.